This is Part 2 of Bobbie Bhambree's agility series. Check out Part 1 here and Part 3 here. There are many great articles already written on how to teach tugging, how to keep tug drive, and the benefits of tugging in agility. Rather than repeating what has already been written, I’m going to talk about my experience with my dog, Tricky. Tricky is a 12 pound terrier mix. She is now 5 years old and has been with me since she was 8 weeks old. Up until Tricky was a year and a half, she had pretty good tug drive. Tricky tugged as a puppy, but she didn’t come with built-in, insane tug drive. I had to build upon it through a variety of games. I knew what she valued most out of all of her toys: balls, specifically Cuz balls and tennis balls. Her ultimate tug toy was a Cuz ball attached to a rope, but she also tugged on a variety of furry toys. She has been playing the game of agility with me since she was itty bitty. During a difficult time in my personal life (which I talked about in the first article in this 3 part series), I ‘dropped the ball’ with Tricky for about a year. One of the things that happened during that time was that Tricky lost interest in tugging. As part of our return to competition, I wanted to rebuild strong tug drive with Tricky. I will share the strategy I used to get Tricky back up to speed! I have been an instructor for several years and I never really got the value of tug until I no longer had it with Tricky. Isn’t that always the case—you don’t appreciate what you have until it’s gone? I taught all of my students about the value and mechanics of tugging, but in hindsight, I see that I was simply repeating what had been told to me by my instructors. While I understand the value of food training in agility, I believe many food rewarded dogs do not reach their full potential because they don’t develop the same drive from food rewards that they could develop if they were tugging maniacs. Don’t get me wrong—there are plenty of teams out there that compete successfully using just food and there are plenty of dogs out there that are naturally high-drive, but Tricky is not one of them. Science shows that play brings up a dog’s arousal while food brings down a dog’s arousal—as my instructors used to say: “Don’t put your dogs into a ‘cookie coma’ by using too many treats and not taking any play breaks.” You might want to bring your dog’s arousal down a bit if your dog is naturally high-drive, but again in my case, Tricky is not that dog. So much of agility training is about how and when the dog is rewarded. For example, if I am teaching independence on a pinwheel, I want to reward the dog for independent thinking that leads to a successful outcome. A dog that is passionate about toys gives me more freedom in training behaviors and skills that require the dog to work away from me. In other words, when training independence on a pinwheel, I want to reward the close as close to the location of the second jump as possible. If I toss a treat, it could get lost in the grass or bounce away on the mat. If I toss a treat pouch, the dog has to wait for me to run over and open the pouch with my very helpful thumbs, so that defeats the purpose of rewarding independent behavior. And rewarding with the treat from my pocket definitely does not create independent thinking because the reward is happening next to me, not on the line. In addition, the dog is receiving the reward a couple of seconds after finishing the pinwheel behavior. Instant rewards help to build drive. Who likes getting paid late for a job well done? Not me! Today, there are lots of toys available that allow the dog to pounce on and access food without waiting for a pair of thumbs to assist. And although I use these toys intermittently in Tricky’s training, my particular dog drives hardest for toys that she can chase and tug. Unless you have a foodie for a dog who literally loses his mind for a treat, most dogs don’t appear insane over a treat. They can get pretty excited over a meatball, but there’s nothing like a dog that ‘attacks’ a toy as if it were prey. Ever see a dog with tug drive? His eyeballs are popping out of his head! That level of arousal makes distractions fall into the background, allowing the dog to focus on task. Ever play a sport in high school? I was part of a nationally successful track & field team as a race walker. There is a state of mind sports psychologists call ‘in the zone.’ That’s the perfect state of arousal where all you notice is the game because you are fully present, body and mind working in sync. I achieved that state of mind almost every time I was in a race. And when I was “in the zone” I consistently placed. With a dog like Tricky that naturally has moderate drive; I have to use everything I’ve got to rev her up. I want to teach her how to get ‘in the zone’ and to love the zone! Tugging is actually a mechanical skill. There is a way to turn off a dog to tugging, especially a dog that has moderate to low drive about the tug toy to begin with. And just like training any skill, whether it is for obedience or agility, you can inadvertently reward something you don’t want. Getting low to the ground at his level can help increase a dog’s tug drive. Just be careful not to lean forward and hover over him. Give him room to tug. too. Any time you turn away from your dog, it’s like a ‘Time Out’. Think about what you do when a dog jumps on you or barks at you and you want him to stop doing that; you turn your back to him to disengage him. Any time you run a sequence with your dog and something goes wrong, what do you do? You very likely turn to your instructor for feedback. But by immediately turning to your instructor, you also probably turned your back to your dog—‘Time Out’ for your dog who worked so hard in that sequence. Your dog doesn’t understand that something went wrong and you need to discuss it with your instructor! He just knows that you removed your attention from him. Maybe you gave him the toy and played for a moment before turning to your instructor. As far as your dog is concerned, we were in the middle of having a great time and then you left. He doesn’t know you are getting information on how to be a better handler and trainer for him! He thinks you blew him off! With a low to moderate drive dog, this is one of the ways to kill tugging. 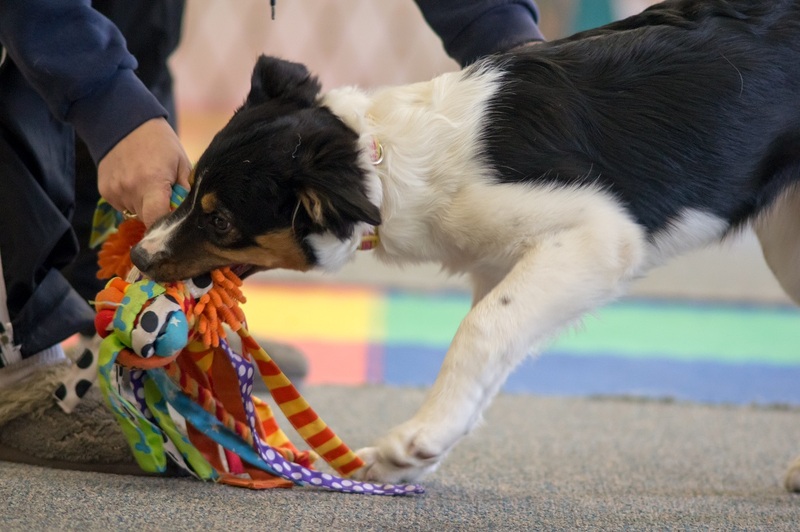 Instead of turning away immediately; stay fully engaged while playing with your dog, then end the game by asking your dog to lie down or hold his collar, and then turn to your instructor. Your instructors will wait for you while you practice great dog training. 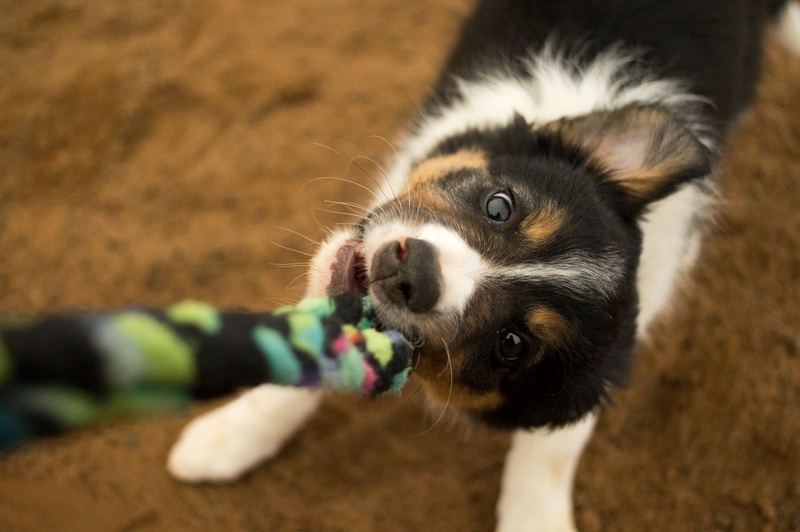 Keep your eye on your dog while playing tug as well. Your dog knows when you are there with him in the moment. If you are distracted, you can possibly miss behaviors that can weaken tug drive over time, such as re-latching. One of the things that I used to do was tug with Tricky to the start line and then look down the line of obstacles to see where I wanted to set her up. Tricky’s view of this was that we were having a great time tugging and then we stopped for no reason that made any sense to her. That disconnect was one more rehearsal of not ‘being’ with my dog in the moment. Again, for a low to moderate drive dog, any disconnect counts. I remember a number of occasions when I was actually talking on my mobile phone while tugging with Tricky—that’s how much I took it for granted! Now what I do is tug with her and pull the toy out of her mouth while holding onto her. I ‘talk dirty’ to her while checking out the line, then I give her back the tug and we play some more while I get her into position. It has to be all about the dog when building drive. Keeping the toy low on the ground is way more exciting than waving the toy over the dogs head or in his face. This allows for the dog to more easily latch onto the toy as well as engage prey drive. If you cannot bend over or get on your knees to tug, then modify the toy to work with you. You can tie a few toys together or attach a toy to a leash or rope to create length. This will allow you to keep the toy low while you stand up straight. Dogs are naturally prey driven. Ever see watch your dog chase a critter or cat, or perhaps another dog? You can engage this natural drive (or re-engage this natural drive) using a tug toy. It all comes down to the mechanics. Move the toy away from the dog in quick, jerky movements. Drag it side to side, a few feet this way and a few feet that way. Smack it against the ground. Make it dance! Shoving the toy in the dog’s face will likely cause the dog to shut down and not want to play. For example, Tricky will turn her head away from me if I shove the toy in her face. Teasing her with the toy is how I get the terrier in her come alive! Tying a few toys together or using a toy with lots of fun things to grab can entice a dog’s interest. about waving the toy over your head. You can even yell out “na-na-na-na poo-poo!” Pretend to offer it to your dog, and then whip it away before he can grab it. Make your dog really nutty and then give it to him to grab. This game always gets Tricky going. Once again, it’s so important to watch your dog and find the magic place where you keep the excitement level high enough to keep your dog involved, but not so high that your dog gets frustrated and ‘quits’. After a few moments of teasing, let your dog grab that coveted tug toy. Long toys, especially long furry toys, are great for engaging prey drive. 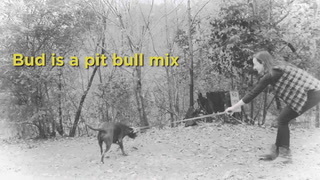 They also allow you to tug with your dog without having your hands too close to the dog’s muzzle. Looming over the dog while tugging could also be a turn off for him, especially a little dog. I am 5’8” and Tricky is only a little over 14” at her withers—there is a significant height difference between us. When I play tug with her, I make sure that I am not looming over her, but instead am giving her room to tug her best. I liked to encourage Tricky to be completely naughty when I was re-building her tug drive. Tricky currently doesn’t have a ‘drop’ cue for the toy. I don’t want self-control when it comes to tugging because I want her to be crazy for the toy. I rip the toy out of her mouth, which is in line with the games of keep away and making the toy come alive—it’s all about building passion for the toy. Tricky is allowed to jump up for the toy and grab at it (sometimes being careless with her teeth hitting or scratching my hands). I also get down on the ground with Tricky and let her climb all over me to try to grab at the toy. Basically, all of the ‘good’ dog trainer skills you have should go out the window. Pretend to be a ‘bad’ dog trainer, allowing the dog to practice naughty, pushy behaviors to get at the toy. I was really good at rewarding Tricky for weak tugging or refusal to tug. I was so caught up in getting the tugging, I was not aware of my mechanics and the actual dog training that was going on. Any time Tricky let go of the toy, I offered it again. Oops—just rewarded letting go! Any time Tricky re-latched on the toy, I made it more enticing by turning on my excitement during the tug session. Oops—just rewarded re-latching! Any time Tricky turned her head away when I offered the tug toy, I made the toy seem more enticing by smacking it on the ground and offering it again. Oops—just rewarded refusing the toy! So what did I change in these specific examples? Any time Tricky lets go of the toy, I now play keep away. Any time Tricky attempts to re-latch, I revert to the keep away game here as well. I also play a couple of physical arousal-building games while tugging with her to discourage re-latching. One of the games is where I gently tap (or smack) the sides of Tricky’s body. The other game is the muzzle grab. I gently take hold of Tricky’s muzzle, sometimes blowing on it, while she’s tugging. Whenever Tricky turns her head away and refuses the tug toy, I use the good ole’ game of ‘keep away’ to get her back in the game. It also helped to have Tricky on leash so she can’t bugger off after refusing the toy. While building tug drive, don’t pull out the tug toy only when training for agility. I have tug toys tucked away in different parts of the house so Tricky never knows when we might go into an insane game of tug. Also, there’s less pressure when you’re not working equipment. Popping out a game of tug will be just about play, short and sweet. Tugging is not a duration behavior, such as a Sit-Stay. End the game before the dog does to keep him wanting more. And most of all, just play! Originally published in "Clean Run"